Sign up for the Talking Points newsletter, a carefully curated recap of the most important business news, delivered fresh each afternoon, Monday through Friday. One of the hottest products of the holiday shopping season isn’t cuddly, stylish, or even especially new. 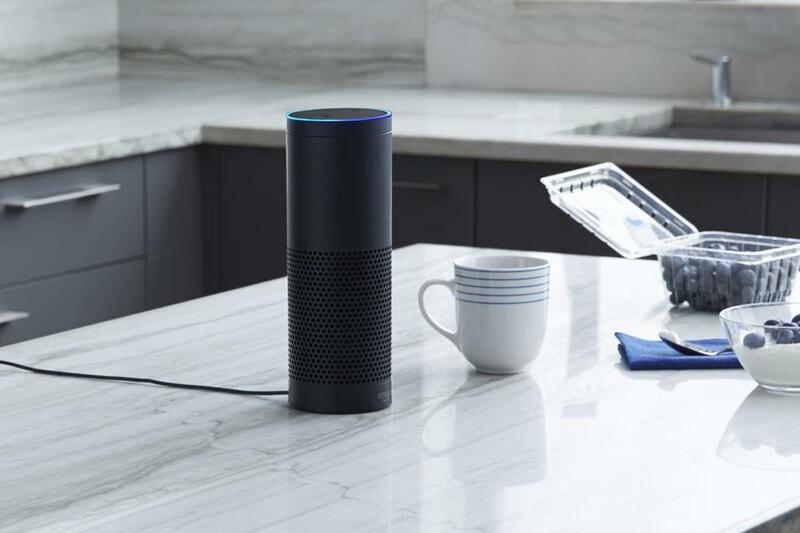 It’s a cylindrical speaker, launched in 2014, that links to a Wi-Fi network and contains a genie-like personality called Alexa. With five days to go before Christmas, the speaker, made by Amazon, was no longer available on the e-tailer’s website. Amazon won’t specify how many of the devices — officially known as the Echo, but often referred to as Alexa — have been sold. But a market research firm, Consumer Intelligence Research Partners in Chicago, estimates the number at about 5 million since 2014. That’s not chopped liver, but by comparison, Apple sold about 6 million iPhones in their first year, at much higher prices. But as the $179 (list price) Echo and its less-expensive sibling devices find their way into homes, a growing number of software developers are creating “skills,” or apps, that expand what the Echo can do. Amazon employees locally have been given the mission of spurring more skill-building for the Echo, and gatherings of area software developers began taking place in Cambridge this year, meeting at Amazon’s office in Cambridge’s Kendall Square. The Echo comes with a set of core capabilities, such as delivering weather forecasts or adding items to a shopping list, all guided by spoken commands. (Like, “Alexa, what was the Celtics score last night?”) But you can also use your voice, or the Alexa mobile app, to add new skills to the Echo, much as you’d install an app on your smartphone. A skill from Fidelity Investments serves up stock quotes; the travel booking service Kayak can give you airfares or hotel prices for a trip. Earplay is a Boston startup that had been focused solely on building iPhone apps to deliver interactive audio stories. They’re a bit like radio dramas where you get to play a character. The Echo “sort of changed everything,” chief executive Jonathon Myers said. “It showed us there would be a huge audience that would want the kinds of experiences we were creating.” The company launched an Alexa skill in August. Blink, an Andover-based startup that makes a $99 wireless home security camera, released an Alexa skill in September that allows its customers to arm the camera by speaking, or ask when it last was triggered by movement in its field-of-view. “The kind of person who buys a home monitoring system is the kind of person who tends to buy an Alexa,” says Alexis Tzannes, a cloud engineer at Blink. He says the tie-in to the Echo is “definitely a significant marketing benefit” because Amazon.com is Blink’s primary sales channel. The Boston travel startup Lola has been developing an Alexa skill that will help users access flight and hotel information, and another Boston company, Beco, has one that will help office workers find a vacant conference room. Neither has been publicly released yet. Lola chief executive Paul English says, “I don’t think people are using the third-party skills with Alexa yet. I just don’t think we’ll have volume.” In September, English hired Bryan Healey to work for the company. Healey had previously led a 20-person team at Amazon’s Cambridge office that created much of the software that helps the Echo understand spoken language. Evans adds that the firm is working on another skill for a global hotel chain that will serve as “a virtual concierge,” letting you turn on the lights or turn off the TV and get information about the property. Evans is the organizer of the Boston Echo/Alexa Developers Meetup, which often features demos of newly created skills and talks from Amazon staffers. The Echo is facing one new competitor, Google Home, which launched this fall, and others are on the way. In October, Samsung acquired a San Jose startup called Viv Labs, which was developing new technology for Alexa-like “conversational interfaces.” That technology will soon show up in Samsung’s product line. (Viv’s founders were earlier responsible for the creation of Siri, Apple’s virtual assistant.) Microsoft has partnered with the speaker maker Harmon Kardon on an Echo-like device that will debut in 2017. The makers of all those new devices will be angling to attract software developers to extend what the products can do out of the box. Sales of the Echo haven’t been an issue, it seems, during the 2016 holiday season. But the fourth quarter of 2017 will be a different tale entirely.